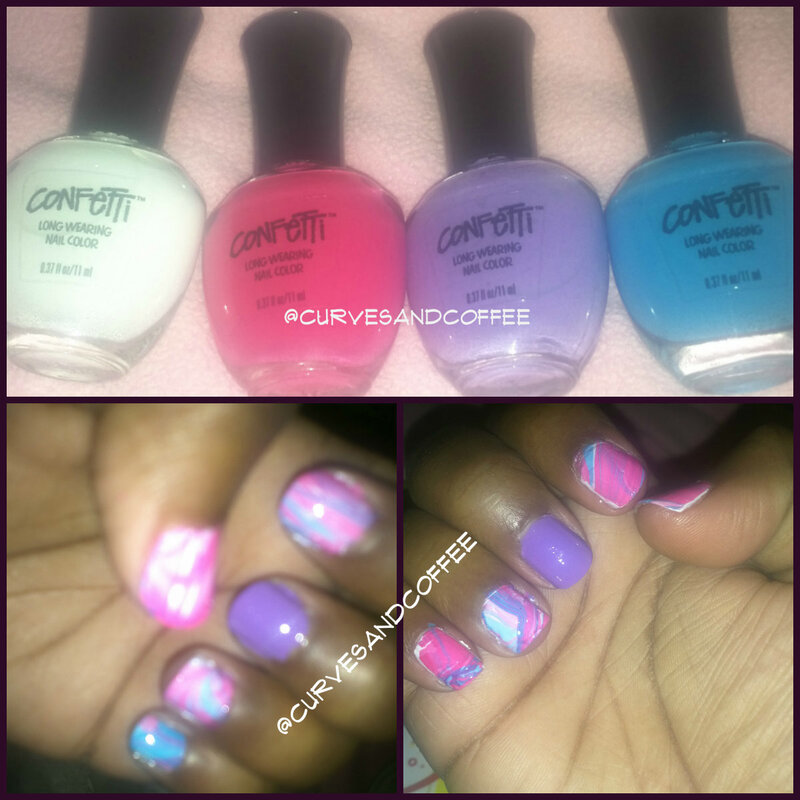 A water marble mani…ooh la la! Colors: White Wedding, Not My Mothers Pink, Belle of the Ball and Bayou Blue. 3. Used cuticle oil, ok A LOT of cuticle oil around my nails and fingers so the polish wouldn’t get stuck to my fingers as much. 7. Add a clear coat and VOILA! Water marble nails!